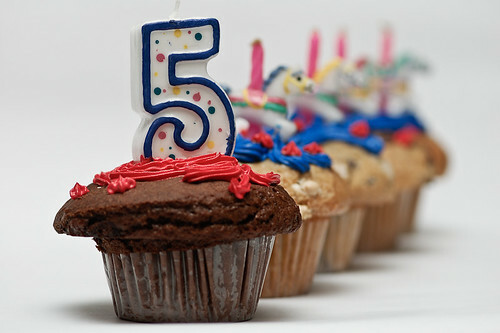 Wow, it’s hard to believe it was 5 years ago today that I published my first blog post. It all began as an experiment – I had no idea whether it was something I wanted to keep up, but I thought it would be fun to try. My blogging has changed a great deal since then, in terms of the length, content, and frequency of posts, but it never stopped being fun so I never stopped writing. I’d like to thank all the established bloggers who have inspired me, as well as everyone who’s been reading what I write. I’m constantly impressed with the people who choose LIS as a career, in the blogosphere and beyond. Keep being awesome, everyone!